Systematic and process driven approach to managing our business. It is designed to support the company in meeting the needs of our customers, whilst delivering a consistent level of quality and satisfaction. ​Systematic and process driven approach to controlling those aspects of our business that have a significant impact on the environment. 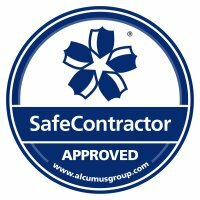 ​Accreditation for achieving excellence in health and safety in the workplace, driven by the need for a uniform standard across the business. ​​We live in a fast moving, connected world. The sooner we get total visibility of assets, the better. By utilising LPWAN devices RTLS can provide a rich stream of data on their operation and location. Our aim is to meet industry requirements by research and development of innovative technologies in the food, logistics, manufacturing, retail and health care sectors utilising our existing technology of LPWan and Sigfox devices along with integrated 3rd party sensors to provide a complete solution.